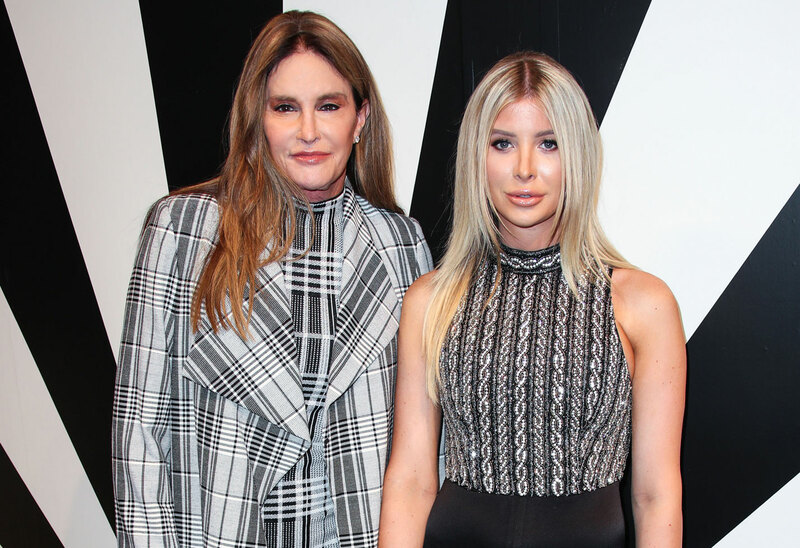 Caitlyn Jenner won’t officially say that Sophia Hutchins is her girlfriend, but that hasn’t stopped the pair from flaunting their love all over New York Fashion Week. The 22-year-old — who did say they’re dating in an Instagram post — has been inseparable from the former Keeping Up With The Kardashians star for months. Their love has blossomed despite their 46-year age difference! Click through the gallery to see the latest photos and to read what we know about the coy pair. Caitlyn, 56, seemed to coordinate her outfit with Sophia and with the back drop at the Alice + Olivia show. Everything was about black and white stripes. The former Olympian was clearly feeling herself as she gave a little twirl. She recently revealed she wants to play a villain in a Marvel movie, and her look was a little Cruella de Vil. Earlier in the week, Caitlyn and Sophia took a ride in a horse drawn carriage. That's definitely the kind of thing romantic couples do. But Caitlyn refuses to confirm the relationship, despite all the photographic evidence. Sophia has been more open. While Cait has been shunned by most of her family, Kanye West recently revealed that he still texts the reality star. The beleaguered rapper sent Sophia a box of his Yeezy clothes. Caitlyn has reportedly stayed closer to her son, Brandon Jenner. Monday, September 10, he announced his divorce from wife Leah. But a source told RadarOnline.com that Cait's so focused on her young love she hasn't called her son yet! What do you think of Caitlyn and Sophia's looks? Do you think their age gap is inappropriate? Sound off in the comments!